Waterfall Info: This is a low-flow waterfall on an unnamed tributary of Darnell Creek, flowing in from Pine Gap to the south. 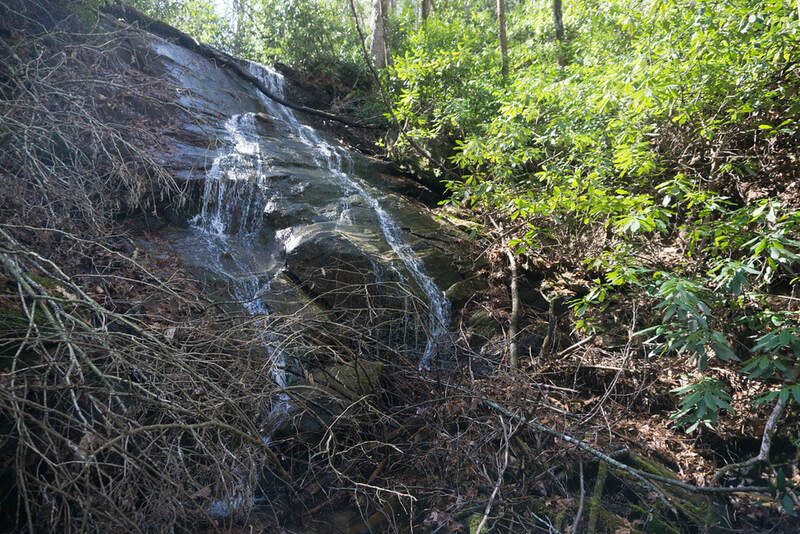 Access Info: This waterfall is located along the Darnell Creek Loop Trail. The trail doesn't access the base of the falls, but bushwhacking to the base isn't really worth the effort.